This column was originally published in this month’s issue of Bold Magazine. You are not with the BBC,” the senior government official said, looking me in the eye as he seized my digital recorder. “I’m calling security,” he added, rushing back behind his desk. He then deleted everything on my recorder, even a previous interview. We had been talking on a couch in his office for about 10 minutes when the outburst occurred, just as I began to ask some sensitive questions. Taken aback, he asked for my full name — as he had not bothered to do so when agreeing to the interview. His reference was to a police report I had filed several months earlier after being physically assaulted by a group of men at a Beirut construction site where ancient ruins were uncovered and being dismantled. The men had surrounded me after taking a picture of the ruins, believed by activists to belong to the 2,000-year-old Hellenistic era of ancient Berytus. When I refused to erase the picture, the men and their supervisors locked me inside the giant construction walls of the development and proceeded to twist my arms behind my back until I agreed to delete the photos. Eventually I was freed after being cursed and threatened, all in plain view of the offices of the multi-million dollar project, run by prominent Lebanese businessmen. I would have never imagined at the time that exercising my right to inform the police about this harrowing assault and illegal detainment would be held against me months later by none other than a government official. It all felt like a scene from one of those thriller police films where the good guys turn out to be the bad guys. Suddenly you are an enemy of the state, so who will you call for help? After a few minutes on the phone with the minister, the official suddenly began to change his tone. I left his office with a feeling of deep unease. It was a truly schizophrenic experience. One minute he was calling security, the next minute he wanted to be my drinking buddy. What did he mean by “You will lose a lot?” Was this official capable of violence? How closely was I being monitored? What was the connection between the officials and the developer I had so angered by documenting our ancient, shared history? It is not the first time I have been harassed while reporting the news. A group of crazed Future Movement supporters once ran toward me in ski masks and attempted to break my camera during demonstrations in 2011. I have also had my footage deleted by members of Hezbollah during the 2007 sit-in in downtown Beirut. And yet these experiences pale in comparison to the story of Rami Aysha, a Time magazine reporter who said he was detained and severely beaten last year both by Hezbollah and Lebanese security agents, according to testimonies he provided to Reporters Without Borders and The Committee to Protect Journalists. While Aysha’s case got a lot of attention, there are countless others that fly under the radar of major organizations. 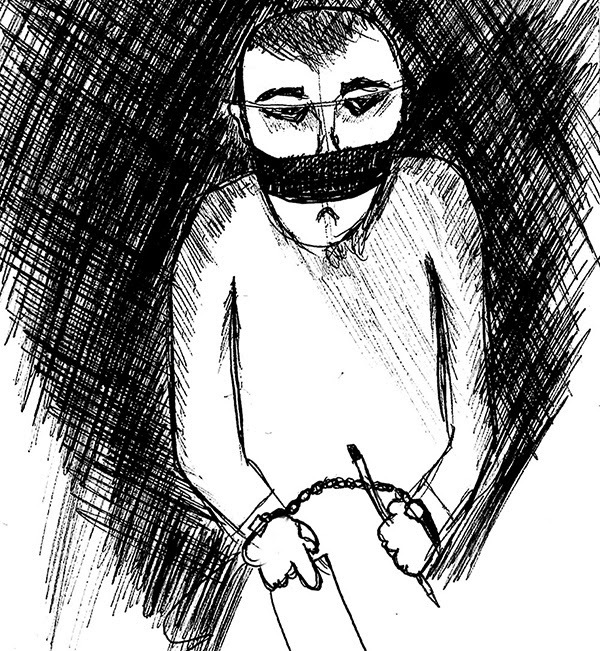 I know several journalists in Lebanon who have been beaten or detained but have refused to tell their stories for fear of the consequences. And that is one of the worst effects of all: self-censorship. There is a reason why many Lebanese journalists avoid investigative reporting and why so little in Lebanon is investigated. Even I fear revealing the name of the official described above. If I do, he may shut down access to my reporting by pulling strings with his contacts. With no independent judicial system, to whom can I complain? Still these cases need to be documented, and the public should take an interest in the lives of its storytellers. With time, perhaps more of us will have the confidence to speak out. Good luck Habib… trying to report the truth in this corrupt country must be challenging to say the least.. and do indeed be careful because this country is full of crazed mad men with greedy agendas the size of their ego and a conscience the size of their tiny pecker… keep at it brother!! Thanks my friend. It’s not easy but the support helps. Cheers. i’d like to know the details of the hellenistic ruins you were reporting about. Someone needs to stand up to this crap, but most of us would rather not risk the consequences personally. Thank you for being so brave and committed to Lebanon’s best interest. If there’s anything left of the country a few decades on from now it’ll be thanks to people like you, Habib. Take care of yourself.